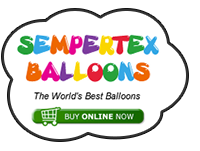 Balloon chat over the next couple of days will be heading over to a new server with 123 reg. so we want it on it's own designated server in case there is a mishap or two along the way. pictures automatically resized as they are on facebook so it's a lot easier to post. the time the server is backed up till it goes live on the new server. pick up a bit once we re-vamp the forum. Exciting news!!! Good luck with the switch/update. So far so good here!! database and install it into a new software forum. having a fork extension that is called SEO. In this instance the SEO is not search engine optimization but another add on. the forum back to just phpbb and take the SEO part off. If you have no idea what I'm talking about then don't worry as I have no clue either. happens to be the 10th anniversary of balloon chat starting up. and they are trying to fit this into the new look forum. So fingers crossed. When they move the forum, if they install it in a folder e.g. balloonchat.co.uk/forum/ you will be able to create a homepage and put other features back. trying to solve all the add on;s we had on the original site. Still not sure if we are going to get a new site up and running yet. Things are progressing and I have been told we are on for the new forum to go live on the 1st April. 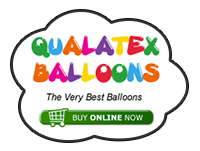 Which is the tenth anniversary of balloon chat. It will be moving over to a template called, Simple machines forum. So fingers crossed all works out OK.
it has a feel of the balloon art wholesale website. that did make me smile. We are not sure yet what will be staying and going from the old forum to the new. can be kept and looked at for later generations, that is what I have been told. We are all still on for Sunday, please cross your fingers. well not a mistake but there was a slight problem with the pictures. it was 4, 3, 2, and 1.
at the bottom picture first and work up the page. Anyway all sorted now and in the correct order. Thanks to Peter and Anja who have been working on the site.